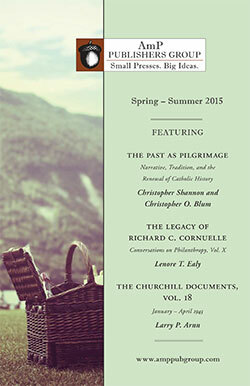 Volume 18 of the Churchill Documents, One Continent Redeemed, covers the first eight months of 1943. As with previous volumes, it collects a remarkably wide range of archives too voluminous to include in Randolph S. Churchill and Sir Martin Gilbert’s multivolume biography of Winston Churchill. 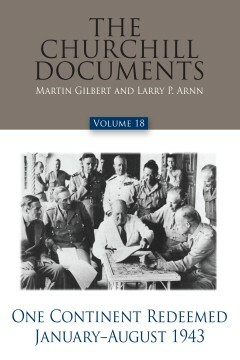 The documents in One Continent Redeemed supplement Volume VII of the Churchill biography, Road to Victory (1941-45). Martin Gilbert was born in England in 1936. He is a graduate of Oxford University, from which he holds a Doctorate of Letters, and is an Honorary Fellow of Merton College, Oxford. In 1962 he began work as one of Randolph Churchill’s research assistants, and in 1968, after Randolph Churchill’s death, he became the official biographer of Winston Churchill. Since then he has published six volumes of the Churchill biography, and has edited – to date – now eighteen volumes of Churchill documents. As a Distinguished Fellow at Hillsdale College, Michigan, he is currently completing the Churchill document volumes.